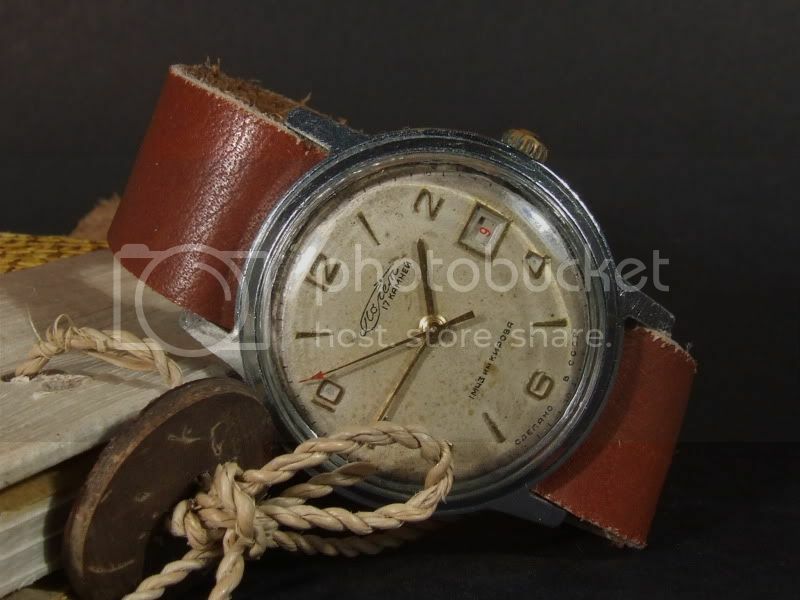 Poljot (flight in english) watches were produced by the First Moscow Watch Factory. 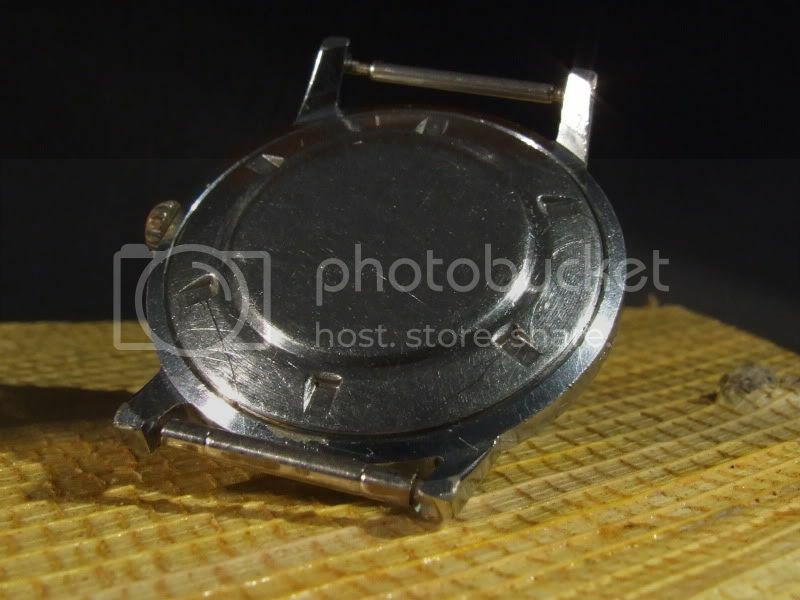 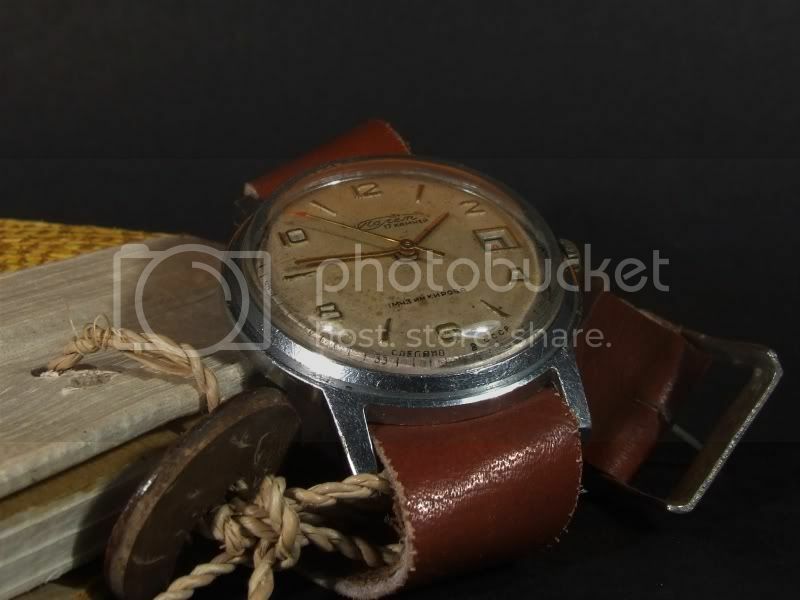 This watch was produced during the 1960ies and is an early poljot branded watch. 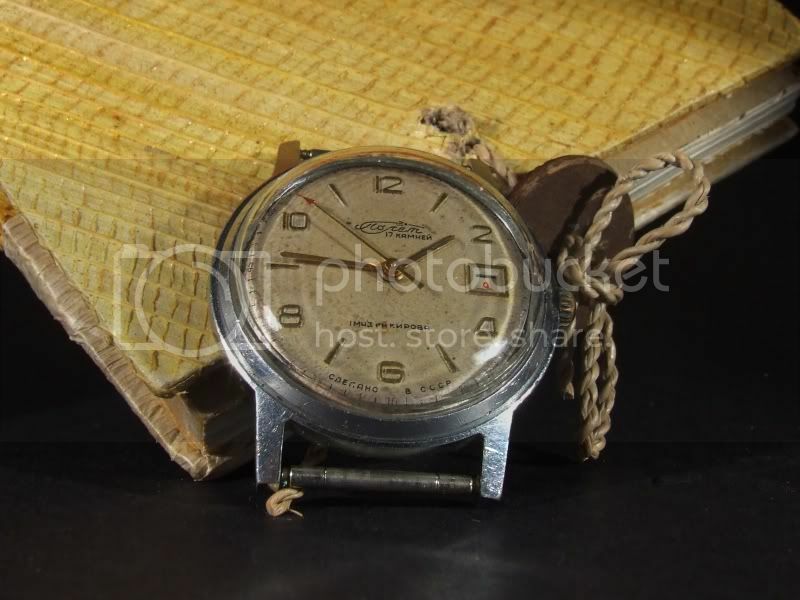 The brand name on the dial, in an unusual cursive font, shows a depiction of the sputnik satellite and, above 6, you can also see the factory identification (see pictures bellow). 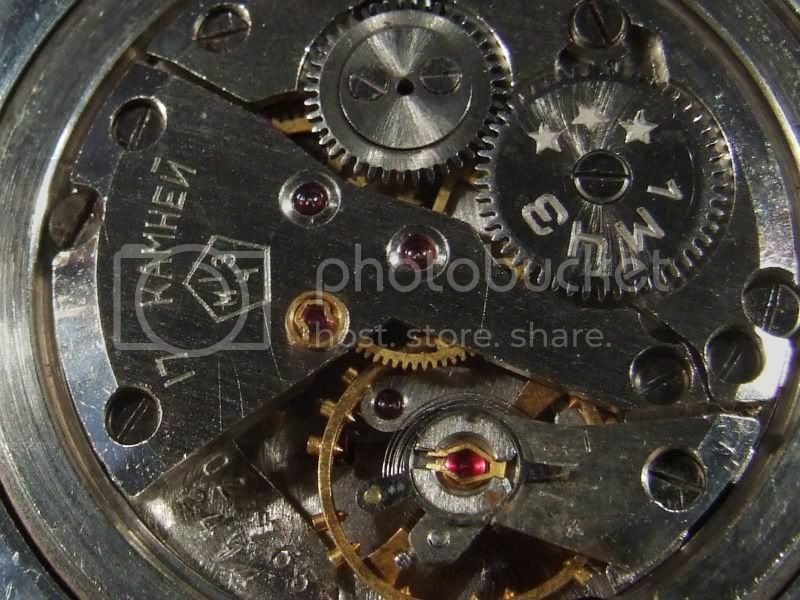 The watch mounts a 17 jewels movement with date, a caliber 2414. 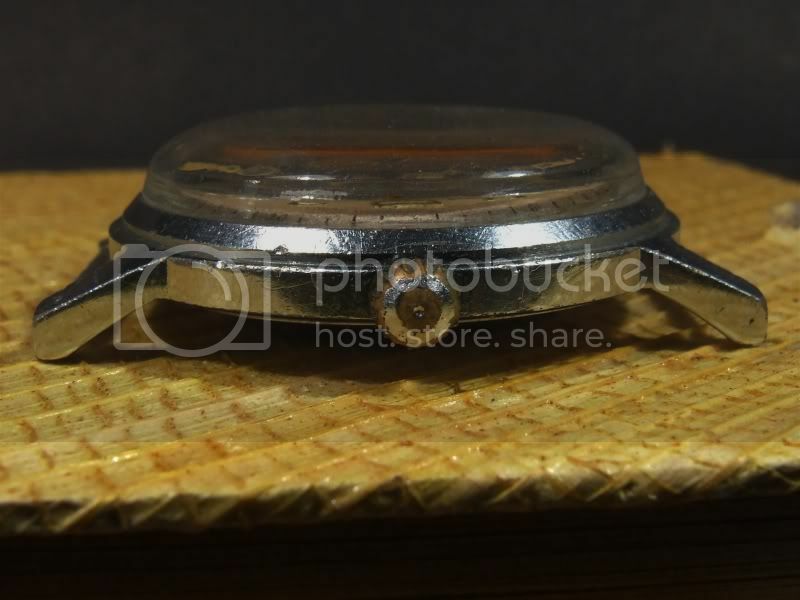 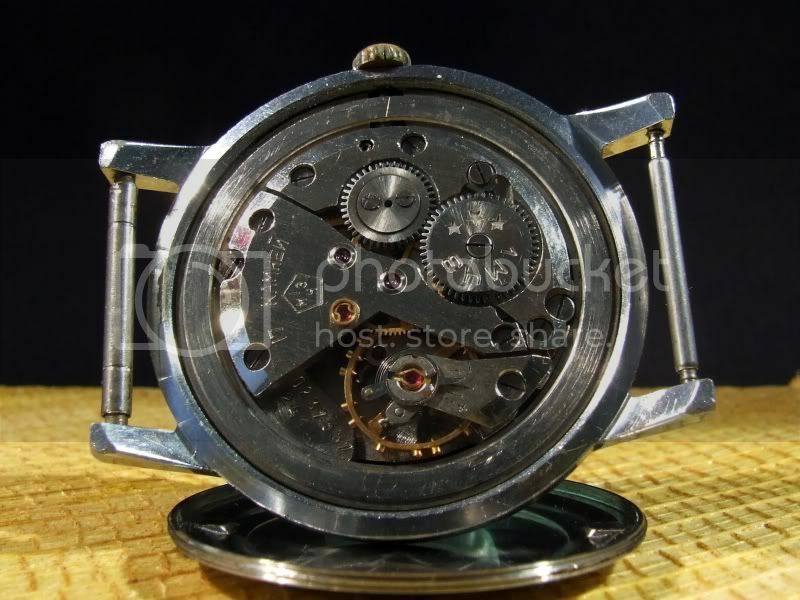 The dial in detail, notice the handwriting in the brand Poljot with the little Sputnik satellite above. 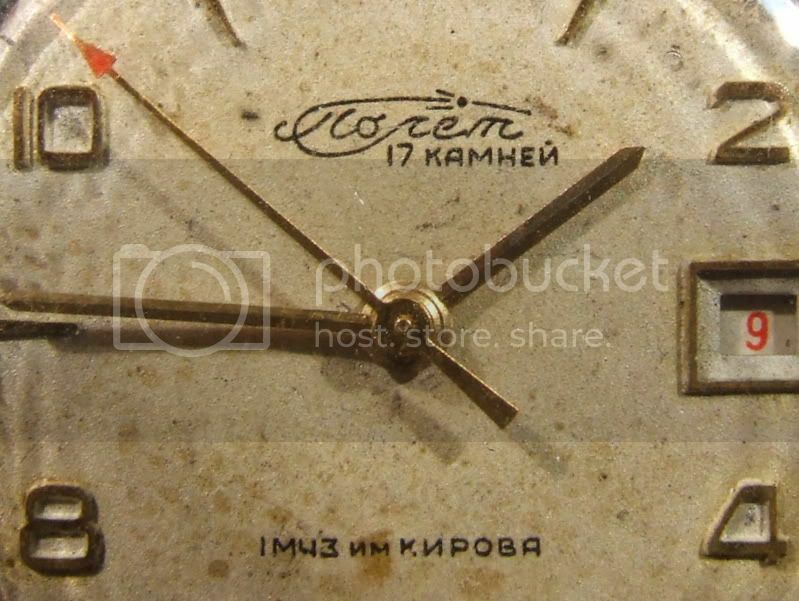 At the bottom it reads: First Moscow Watch Factory in Kirov.